You are browsing the site archives for September 2014. When considering breast augmentation, there are a few things you will want to research and consider before booking an appointment with a plastic surgeon. First, you will want to look into the actual logistics of the procedure. You should have a general idea of what is going to be done, where it is going to be done, how long the augmentation will take, and any details about the recovery time and process. You will want to look into whether or not you are a good candidate for breast augmentation surgery, and the complications that are associated with undergoing breast augmentation. There are certain age restrictions for different types of implants. You may need to postpone your surgery if you are breastfeeding or pregnant, and you may be refused surgery outright if you are in poor health. Take a moment and look into incision site options for breast augmentation. There are four incision sites, and each one has their pros and cons. You will want to weigh them against your lifestyle plans. 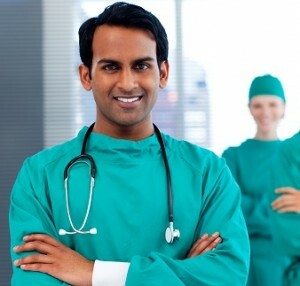 Wherever the surgeon makes an incision, you are also going to experience scarring. You will want to consider if and where you would be comfortable having one. You will want to consider what you would like your breasts to ultimately look like. 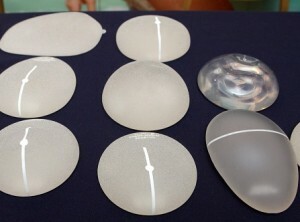 There are different options for breast implants available in terms of shape, size, and profile. You will want to research the difference between saline implants and silicone gel implants. You can then consider sub-glandular implant placements and sub-muscular breast implant placements. Each of these placement options have a particular aesthetic outcome that you will want to discuss further with your plastic surgeon. They will be able to assist you in selecting an option that will best suit your figure. You should consider the total cost for your breast augmentation. It isn’t enough to simply research the cost of breast augmentation by looking at a website. You will also need to consider factors such as hospital and surgical facility fees, the fee for the anesthesia, prescription medications that you may require, post-surgery garments that you might need to purchase, as well as follow up medical costs. You may want to discuss financing options with your surgeon, and check with your insurance to see if anything you require is covered. When you are looking for a surgeon, you don’t want to just go with the first one you see. You will want to do some research to find a breast augmentation surgeon that is properly qualified, reputable, and does the kind of work that will give you the aesthetic you are looking for. You should look out for testimonials and a solid portfolio.